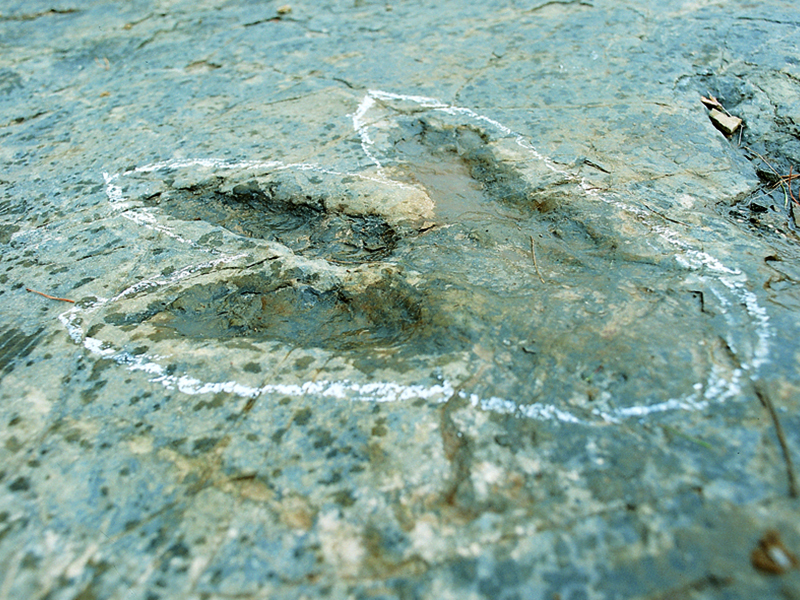 This route is an outdoor exhibition on dinosaurs, birds and flying reptiles with their footprints or fingerprints and is structured into four routes with signage and appropriate for them to be visited by everyone. Its importance lies in the large number and variety of tracks that compose and form the Paleontological Hall of Villar del Rio, a leisure park in San Pedro Manrique and 15 sites equipped with signaling to facilitate your visit. All this makes this route a must for lovers of dinosaurs and nature in general. Once past the port Oncala the SO-615 we find a number of people with a common denominator, the dinosaur footprints preserve ancient times. In Santa Cruz de Yanguas we can see a striking model of stegosaurus, which lies next to the church of the Holy Trinity Gothic church. Following the trail of the footprints of bipedal dinosaurs we arrived at Bretún. Playing a Triceratops leads us to the site of La Matecasa, the most visited place. Continuing the route, we arrive to Yanguas, mountain town dotted by the Cidacos river that has a large monumental catalog: door River in military Gothic style, the main square bordered by arcades, the church of Santa Maria, the tower of San Miguel and the remains of a Moorish castle. And to finish the tour in the small village of Fuentes de Magaña, we can see playing Largest dinosaur world. 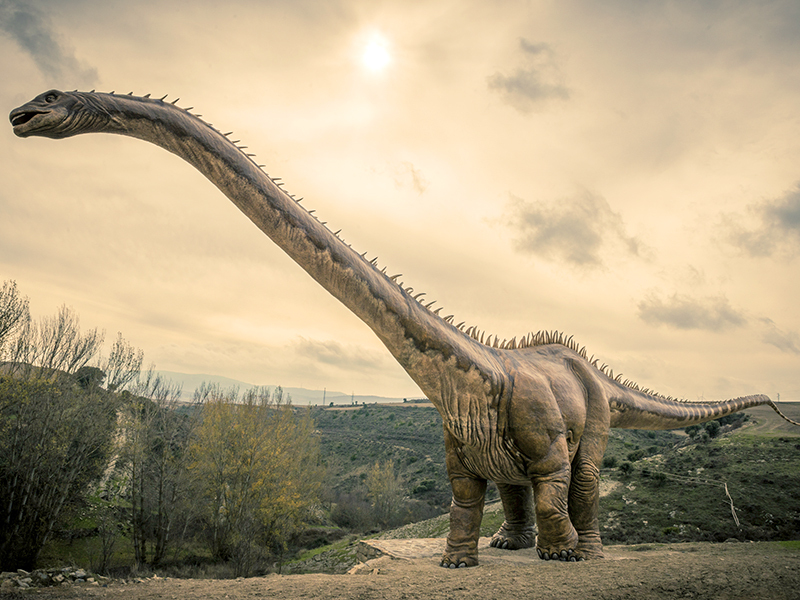 A life-size replica of an Apatosaurus that impresses both large and children for their excessive dimensions.